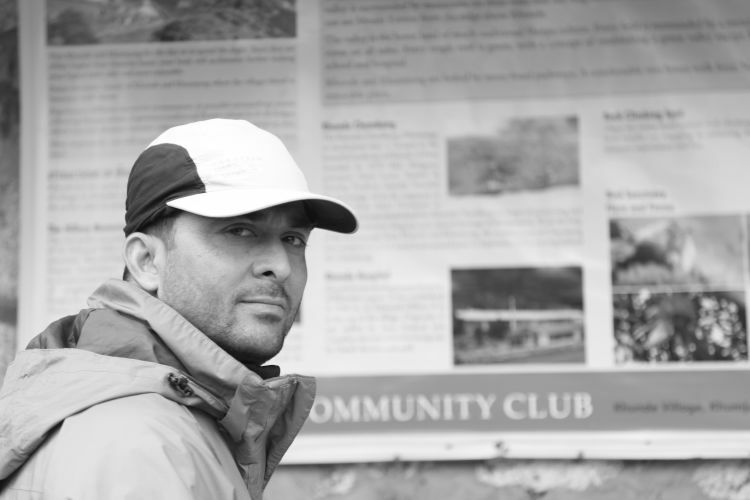 Ranveer Jamwal is a saviour of lives as he is a search and rescue expert and India’s ace mountaineer. He is just few steps away from making India proud. 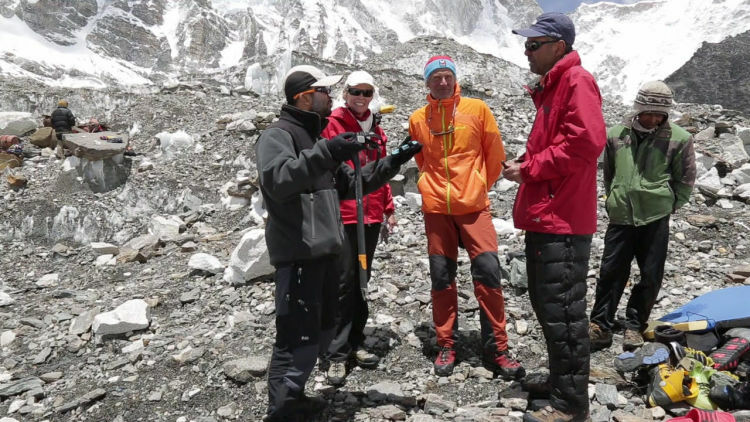 He is on the verge of making a record – labouring to complete 7 summits. A Mountaineering feat of climbing the highest mountain in each of the continents having 6 highest points already summitted with Everest alone summitted thrice. He is a simple soul with a profound personality. I have full belief that he will succeed in his this final journey towards the Vinson massif summit. Out of 1.3 Billion Indians there are only 8 who have summited 7 highest points of the seven continents. It is a herculean task thus your all’s help is needed to support brave Ranveer into climbing the last of the dream 7th summits and together let’s make the country proud. Whatever it takes! We need to raise total of Rs. 20 lakhs out of Rs. 35 lakhs and by September 30. 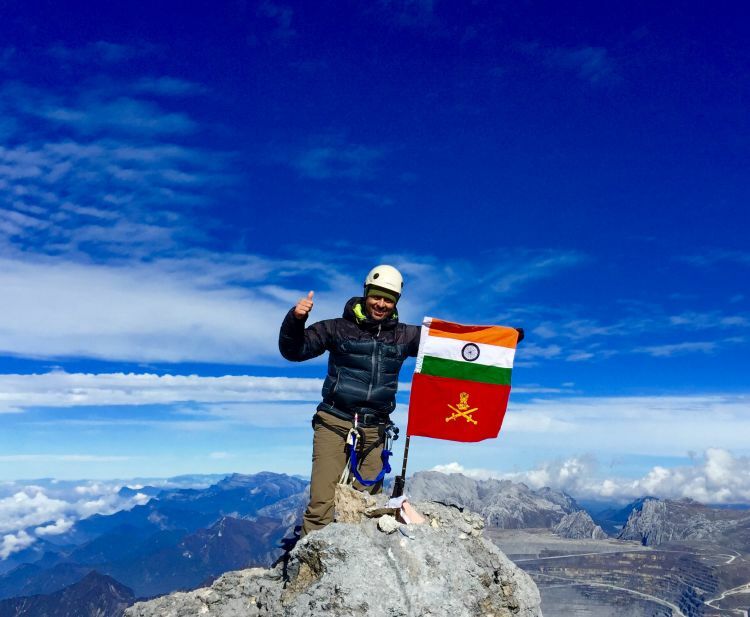 From a simple village boy to a passionate mountaineer, from a school lad to a Colonel in the Indian Army, I, Col Ranveer Singh Jamwal VSM**have come a long way and am still willing to go further in achieving my passion – soldiering and mountaineering! While soldiering taught me dedication, mountaineering taught me humility. Soldiering gave me an Identity, mountaineering gave me a cause. A combination of these two aspects in my life has helped me achieve formidable tasks and endeavors. Having already climbed 6 of the seven highest mountains in the world, I now stand on the verge of creating an Indian record where I will be the first Indian Army officer and 9th Indian to complete the 7 mountains circuit. A mountaineering feat of climbing the highest mountain in each of the seven continents is also considered as one of the toughest physical and mental endeavors that a human can undertake. Having already summited the top 6 mountains viz. The final mountain standing between me and this record is Vinson Massif in Antarctica – the coldest, driest and windiest continent of all. I am grateful to my family & friends who have stood beside me through the trials and tribulations of climbing the 6 summits. We came together and I climbed all the mountains and made every hurdle surmountable! Doing this I expended most of my personal savings and will be investing another Rs15 lacs into the expedition to Antarctica (Vinson Massif). Unfortunately, with Rs 15 lacs, I will not be able to even begin my journey and thus this fund raising plea. The entire expedition cost is Rs 35 lacs and thus I am seeking your support. I have been awarded the highest National award in the field of mountaineering “Tenzing Norgay national Adventure Award 2013” by the President of India. Government of Nepal gave an appreciation letter to me for saving precious lives in the aftermath of the earthquake in 2015. Indian Army has acknowledged my hard work with Visisht Seva Medal two times. It is a great achievement for a soldier. I was declared as the Indian mountaineer of the year 2017 when Indian Mountaineering Foundation (IMF) awarded me with IMF Gold medal. I have organized the youth of the village in Samba to get into sports and fitness. Government of Jammu and Kashmir dedicated a calendar in 2017 to the achievers of the state and I was among the 12 faces featured in that & Govt also awarded me Sher-e-Kashmir Award for outstanding Sportsman of the Year (by J&K Govt). I have been motivating the junior leaders of the Army through lectures in the Indian Military Academy, Officers Training Academy and the Indian Institute of Technology, Chennai. I conduct motivational lectures for motivating youth to join armed forces and also, I have been visiting schools to motivate children to fulfill their dreams by joining army which helps in unlocking every potential. I featured in the Discovery Channel’s Documentary on the Everest Expedition 2012. I featured in the two part documentary made by the News Channel NDTV in 2015 about the rescue mission which I led after the 2015 earthquake. In 2017, Penguin company covered my journey of life in a book (Shoot Dive Fly) which featured 21 stories since independence to motivate the youth of the country to join the Armed forces. The way it all began as a simple village boy of 17 years, I would never have dreamt of summiting the Everest as then the fight was more to get stable in life. But, hard work and an unquenching thirst to do good for self and the country changed everything. I joined Army as a proud soldier. Army instilled dedication. Army as an organization is always ready to promote hard work. I worked hard to pass exams to become an officer and it happened. The journey was just a beginning as I joined as an IMA Cadet and got commissioned after 4 years. A bigger twist was waiting in life. Army chose to give wings to son of a Soldier who was busy serving his country. I was given opportunity to learn rescue and life saving and this has given me immense satisfaction as there cannot be anything bigger than saving lives. A time came when my passion to summit the best led me and my team into a zone of death. But, nature had planned to take me to Everest. I have been to Everest summit thrice as an admirer of human spirit but in the process got humbled as the earthquake of the 2015 proved that nature is insurmountable. Leading Indian Army soldiers three times and succeeding to summit also led into creating a record with about 40 men in total summitting Everest under my leadership. 2015 Earthquake had put all the lives in jeopardy but the Indian Army controlling this critical situation, My team and I & few other volunteers became a reason which made the difference between life & death for many people. The biggest test came on 25th April 2015 when the into my leadership we did an yeoman’s service, evacuated 22 fatal mountaineers and rescued more than 60. The team was Hit by 7.9 magnitude Earthquake. We stayed at EBC for 15 days & were the last to come down. The saved climbers are thankful to India & the Indian Army. I earned blessings from every corner of the world. This test of nature did not break the spirit. I went back in 2016 again leading it from the front. I summited the Everest for third time. My planning, motivation and leadership has led to 100% success in all the three Everest expeditions. Adventure as a passion is fine but it is our responsibility to work in cleaning our environment. I am not just an officer but a responsible citizen who is waging a war against the non-bio-degradable waste left on the mountains. Nepal government acknowledged my good work in 2013 & 2015 and gave me commendation certificates. I thus established a trend in clean mountaineering & a feeling of responsibility towards conservation of our much endangered environment by future generations. Journey has just begun. I need you all to be by my side. 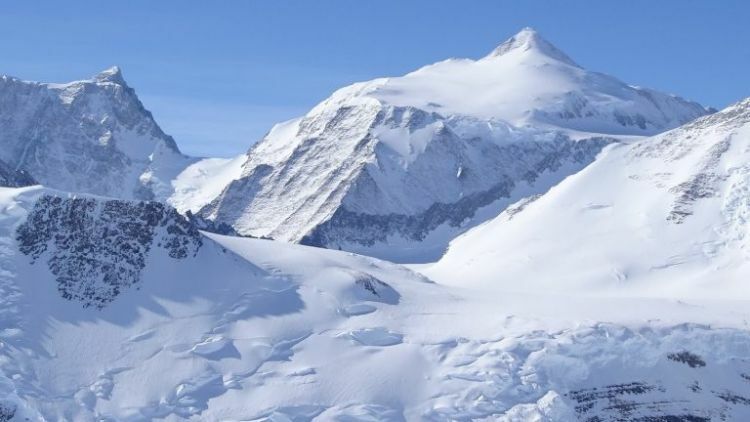 Let us climb together the summit of Vinson Massif, Antarctica. What is his next expedition all about? I am just few steps away from making my country proud. I am on the verge of making a record – laboring to complete 7 summits. This is a mountaineering feat of climbing the highest mountain in each of the continents with 6 highest points already summitted with Everest alone summitted thrice. Now, This expedition is about conquering 7th and the last summit named Vinson Massif in Antarctica – the coldest, driest and windiest continent of all. Out of 1.3 Billion Indians there are only 8 who have summited 7 highest points of the seven continents. This expedition will be a dream fulfillment for me to make India proud on the International Level. I am an Army officer with limited expenses and resource of income. Throughout the time during the last summits I have used my savings for the expedition. Even during this time I have taken a personal loan of INR 15 lacs which is insufficient to cure expenses of the expedition as the total cost would be INR 35 lacs. I am trying my level best through reaching out to my capabilities to secure the personal funds but apprehension not securing enough funds lands me to the idea of crowdfunding. I am thankful to my family & friends who came forward to help me out during my previous expeditions. But This time the task is more herculean as I am seeking your help to stay beside me while I Complete my dream 7th summit and together let’s make the country proud, Whatever it takes! I need to raise total of 35 lakh by October 15. 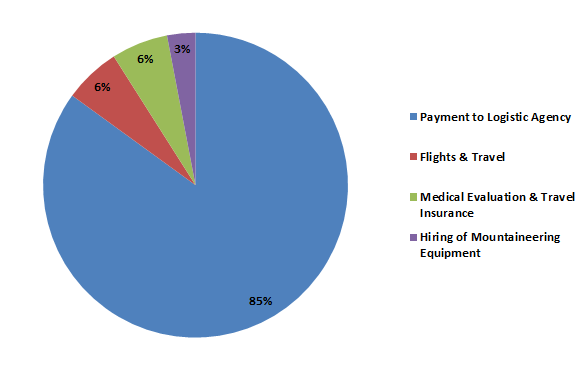 The cost of the expedition is approximately INR 35,00,000 which includes airfare, the expedition fee, room on board and the necessary gear to embark on this expedition. I am looking to raise INR 20,00,000 via crowdfunding towards the expedition fee. Mountaineering is not only an expedition it’s an overall sport if we look at the various aspects of it. Mountaineering falls into the category of adventure sport which is one of the most expensive and growing field of sports. Sport is not about medals nowadays there is a whole industry around it. I think once we start exploring such areas of the sports it will help our country to generate employment opportunities into the various profile of this sport as well. However this is my dream to finish this expedition and achieve my target but if we look at this from an overall approach it will help each one of us to grow. As a developing country we need to have such exclusive areas of specialty to create edge into the skills of our youth. I will be grateful to each one of you who wishes to contribute for my expedition. As a small token of appreciation I will be sending across a high resolution photograph shot by me in Antarctica, to each one of you. The top seven contributors for the cause will also receive a personalized message from me shot in Antarctica.